Adjust volume and three modes (talk, siren and whistle). New Piezo technology delivers powerful performance while significantly reducing weight and increasing battery life. Full frequency response provides clear, intelligible amplification. 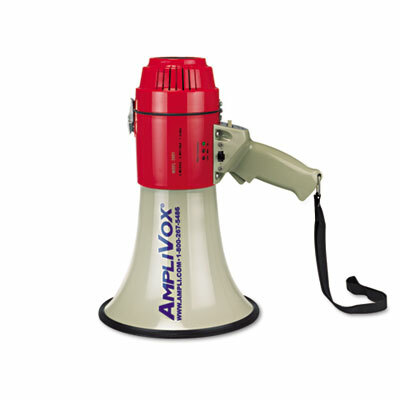 Adjustable volume and three modes (talk, siren and whistle) provide enhanced versatility. Battery indicator light vividly shows power status. Weatherproof design stands up to inclement weather. Pistol grip and wrist strap.